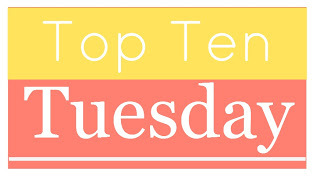 It’s been a while since I did a Top Ten Tuesday post and this week’s was an easy one so it was a perfect way to jump back in. This week it’s name your Top Ten Character Names I Love or Top Ten Unusual Character Names. Mine is a bit of a combo. Some of these names I do love and some are unusual so they are memorable. Valancy from The Blue Castle by Lucy Maud Montgomery. Such a good story too. Trixie Belden from the Trixie Belden mystery series I loved as a child. Daisy Fay from Daisy Fay and the Miracle Man. I just thought that named fit the character perfectly. Lestat from Interview With A Vampire. I used to be a huge Anne Rice fan. Did I ever tell you she was one of the first author book signings I ever went to? Verity Kindle from To Say Nothing of the Dog. I still need to read more by Connie Willis. Turtle from The Bean Trees. If you’ve not read this book add it to your list. Lisbeth Salander from The Girl With the Dragon Tattoo. I don’t think I can read another character named Lisbeth without not thinking about this girl first. Ignatius J. Reilly from A Confederacy of Dunces. Zany story and characters. Precious Ramotswe from The No. 1 Ladies’ Detective Agency series. It’s been a long time since I read one of these books. I wonder what the famous lady detective is up to now. Maisie Dobbs from the Maisie Dobbs series. Love the character and series and am eager for the next book. This was fun to put together. What about you? What are some of your favorite/memorable character names? Named a dog Trixie after Trixie Belden! Fun names! Lestat is a great one. I’d have to add Rhett Butler to the list, I love that one. Severus Snape from Harry Potter are cool sounding too. And I liek the sound of Fitzwilliam Darcy from Pride & Prejudice. Those are some good ones! I love Precious Ramotswe! Literary Feline – Isn’t that great? I need to follow up on her adventures! Great list – my favourite names out of the No 1 Ladies series are Happy Bapetse and Phuti Radiphuti. What a fun list–I should do this sometime. I personally like Horatio Hornblower from the C.S. 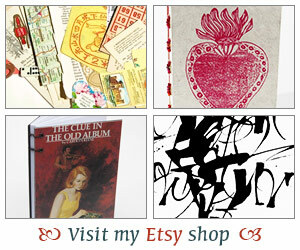 Forester books! Fun list! I loved Trixie Beldon when I was a kid, liked her better than Nancy Drew! Bruce Gargoyle – Ah those are great too! I forgot about them. It’s been such a long time since I read one of the stories. Danielle – That is a great character name! I mean, even if you’ve never read the story you know the character! Stefanie – Me too! I liked Nancy Drew but I thought Trixie was awesome! I wish I still had my Trixie books. I didn’t have many but the ones I did have got ruined when my college apartment flooded. Sad.